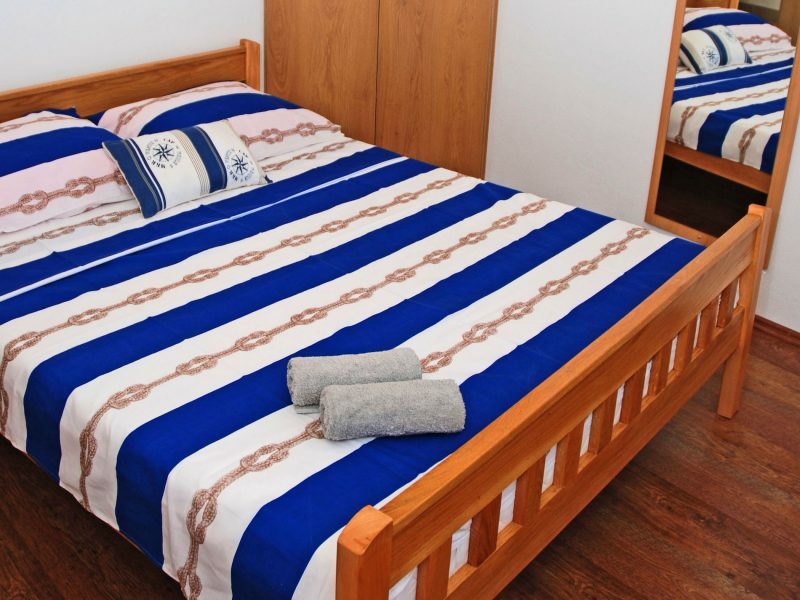 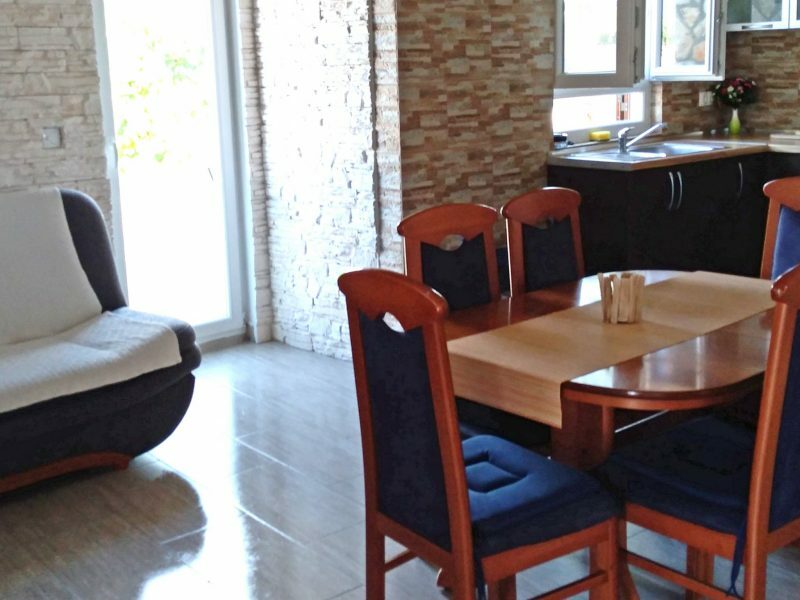 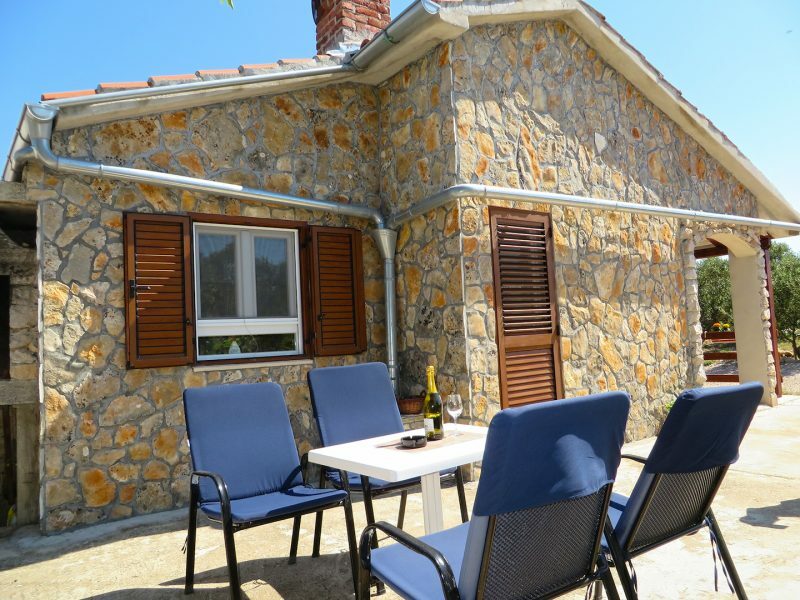 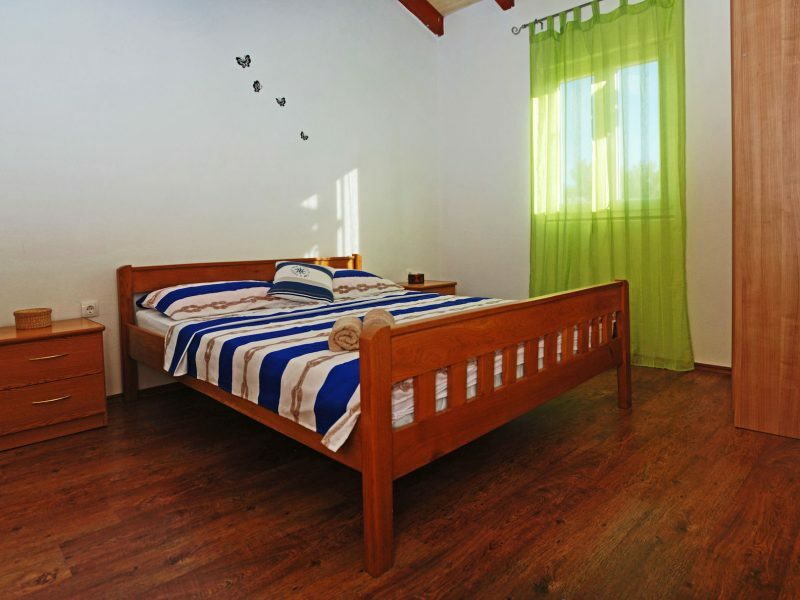 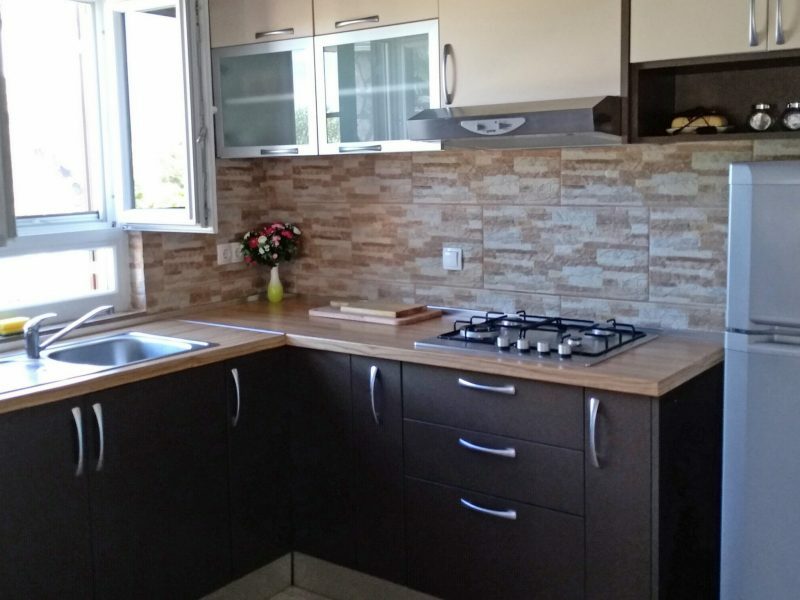 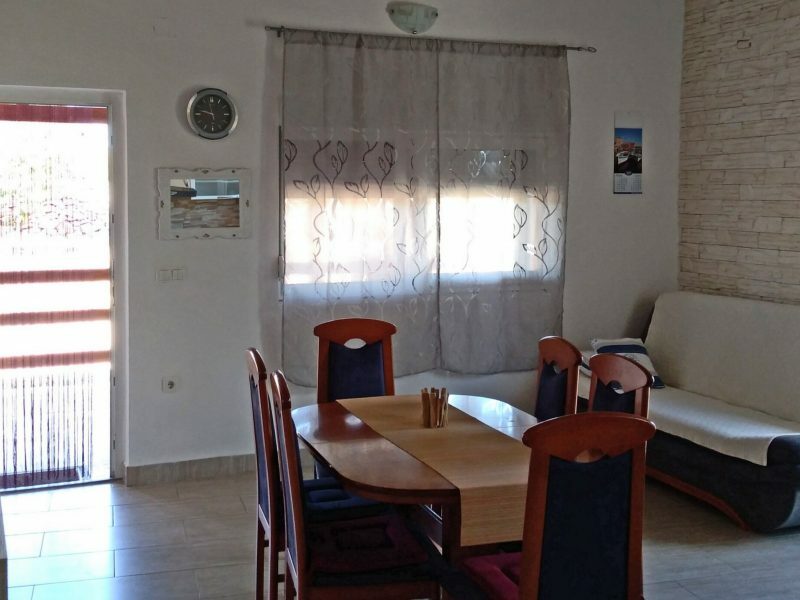 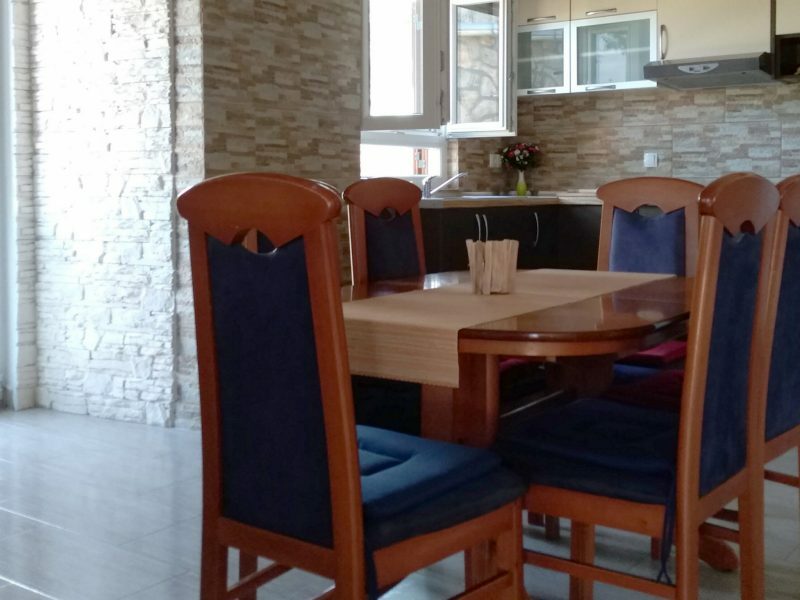 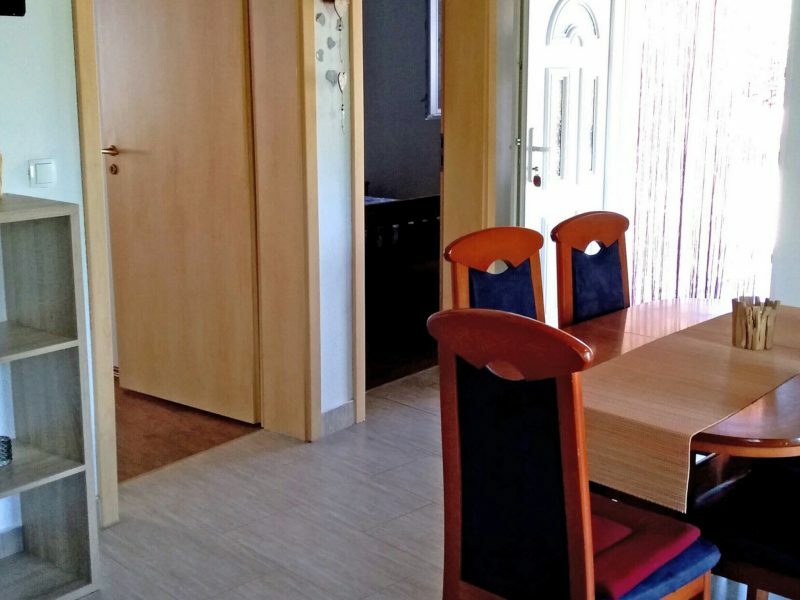 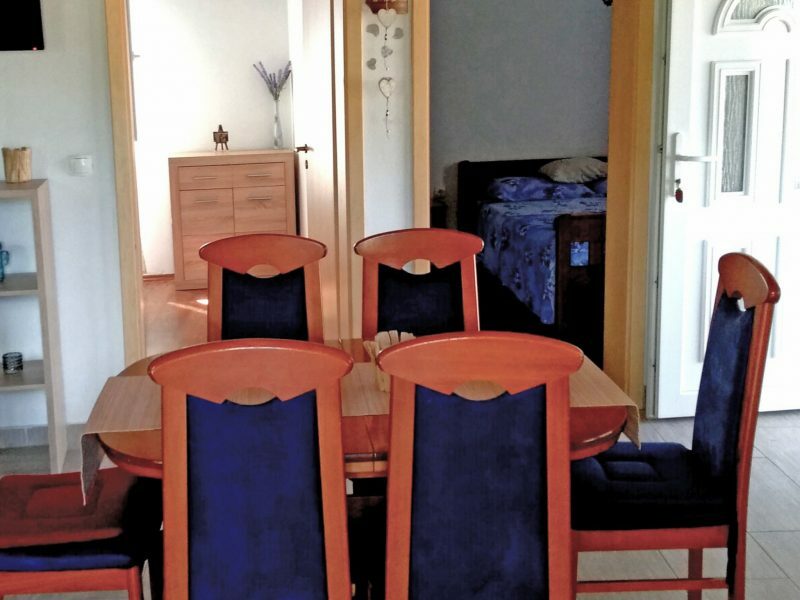 The holiday house consists of two double room, spacious living room with pull-out sofa for one person, dining room with kitchen, gas cooker and stove, running hot water, fridge, TV. 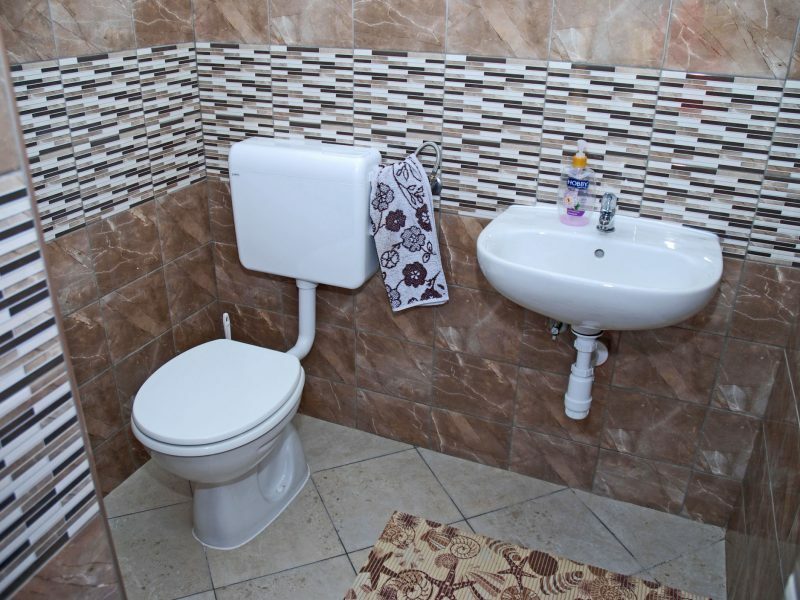 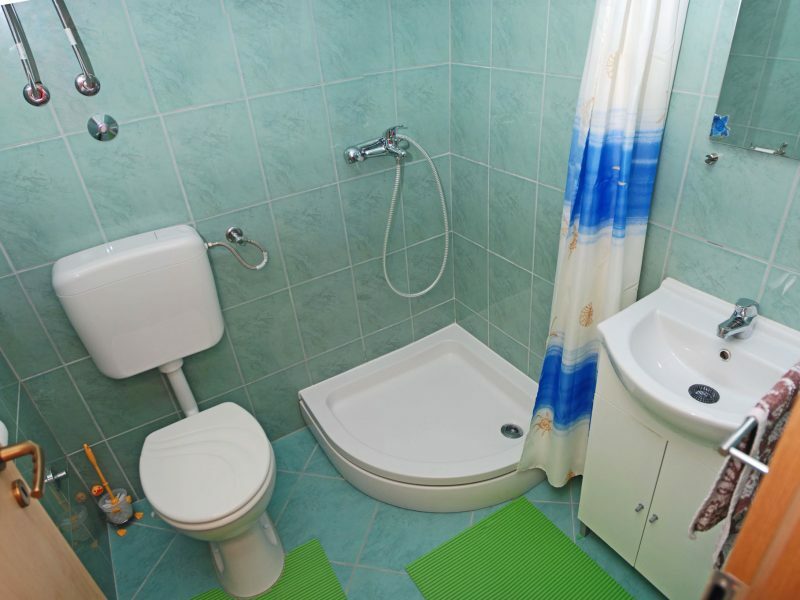 Guest toilette and bathroom with shower. 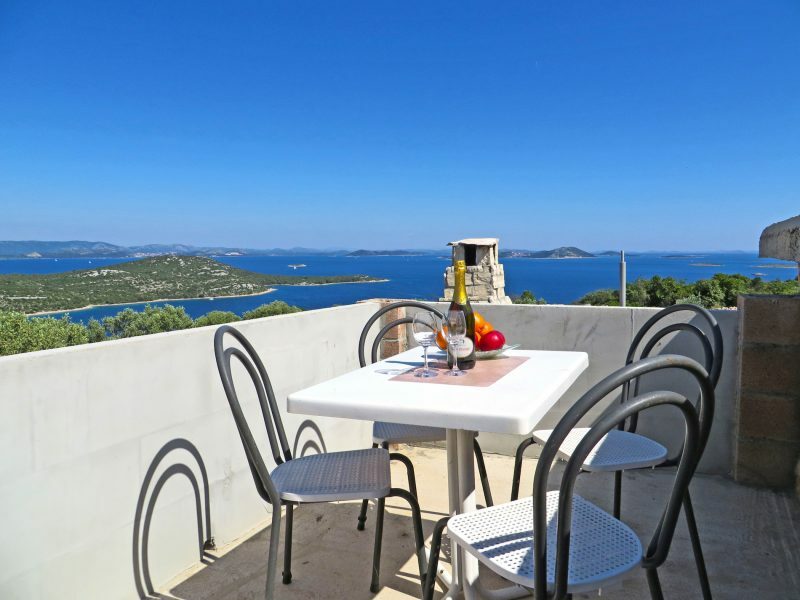 The living room has direct access to the roofed terrace, behind the house is another terrace with sitting and sea view and finally one more sea view terrace in the garden with Mediterranean aromatic herbs. 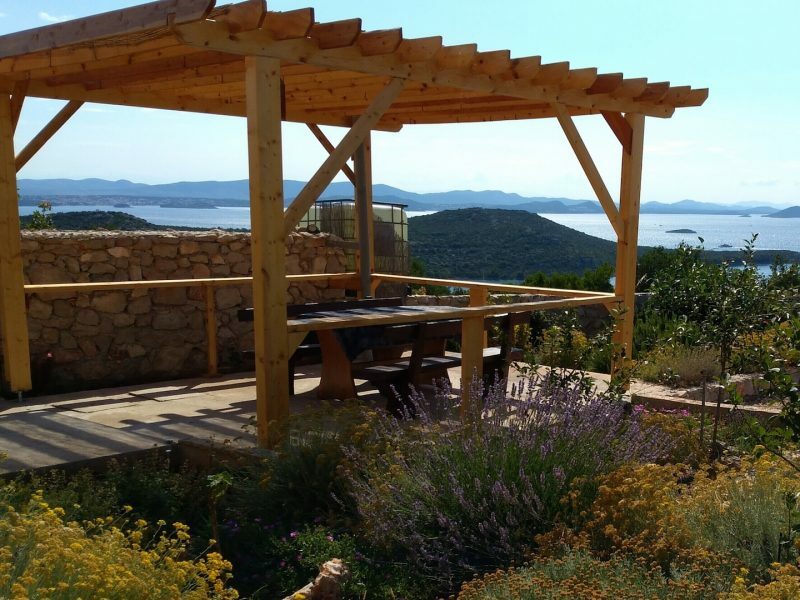 Outdoor shower, solar electricity (12V) provide a mobile recharger.